Scott Jessup is a senior-level consultant for Visual Business Solutions, Inc., Roscoe, IL; 330/929-0600, www.visualbusiness.net. Material requirements planning (MRP) came onto the manufacturing scene six decades ago in response to the introduction of lean production by Toyota. Essentially a computerized production-planning and inventory-control system, MRP integrates data from a variety of sources including inventory, production scheduling and bills of materials to calculate the most efficient and effective purchasing and shipping schedules for parts, components and subassemblies required to manufacture a product. Over the years, as manufacturers have become increasingly dependent upon software-based business and operational processes, some have confused the functionality and roles of MRP and ERP (enterprise resource planning). It’s easy to see why. There are, in fact, two MRPs: material requirements planning as discussed in this article, and its offshoot, manufacturing resource planning (often referred to as MRP II), which broadened the scope of software-system use in manufacturing beyond material requirements planning into other aspects of the manufacturing process. As a second generation of MRP, MRP II is a closed-loop system that uses production planning to drive the master schedule, which in turn drives the material plan that provides the capacity-plan input. At the end of a production cycle, feedback informs a reiterative process that further tweaks the manufacturing operation to wring even more efficiencies out of it and help further reduce waste. MRP II eventually evolved into ERP, which added business processes such as customer-relationship management, accounting and data management to the mix. For some manufacturing businesses looking to simplify their IT infrastructure with a single process-management platform, it might be okay to roll MRP functionality (in both its forms) into an ERP system. However, there are some risks involved, especially if the user’s manufacturing processes and material-handling needs are fairly complex and if the ERP system in use is not rooted in manufacturing. Regardless of the confusion between MRP and ERP, MRP plays an essential role in manufacturing, enabling the production process to proceed smoothly and efficiently. As an inventory-management system, MRP not only helps production managers plan and schedule raw-material purchases, it also helps reduce waste by minimizing both raw materials in stock and finished products awaiting distribution. A lack of proper MRP processes jeopardizes the ability to reliably and consistently manufacture products in a timely and efficient manner. Data integrity lies at the root of most MRP problems. The classic piece of computer conventional wisdom still holds true: Garbage in, garbage out. Any discrepancies in inventory data, bill-of-material (BOM) data or the master production schedule will result in faulty output data. Data integrity also can be compromised by inaccurate cycle-count adjustments, mistakes in receiving input and shipping output, scrap not reported, waste, damage, box-count errors, supplier-container errors, production-reporting errors, and general system issues. Many of these data errors can be minimized by implementing pull systems and using barcode scanning. Most MRP experts recommend data integrity of at least 99 percent in order for an MRP system to provide useful and effective results. Implementing an MRP system can challenge any organization. It requires a solid commitment from top management and proper education of the executives and workforce tasked with using it as a strategic-planning tool and day-to-day operational resource. Several potential issues can be stumbling blocks to successful implementation. Proper MRP implementation starts with avoiding incorrect or obsolete MRP policies. ERP and MRP systems essentially are sophisticated calculators, utilizing mathematical inputs to determine how much stock to buy and keep in inventory, how long lead times should be and other policies affecting the manufacturing operation. Unfortunately, some planners “set ‘em and forget ‘em.” They set up the system to manufacture a certain product, input some numbers that may or may not be based in reality, and then never revisit the numbers once they’re in place. Incorrect inputs will deliver faulty planning. Even with correct policies in place, companies can stumble because key personnel lack an understanding of planning fundamentals. 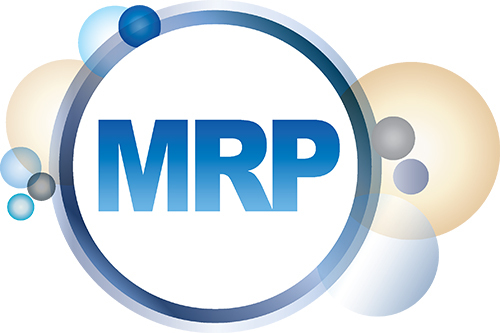 Proper MRP is a complex process that requires good analytical skills and strategic thinking. However, many companies place the wrong person in charge, often using buyers and simply calling them planners. Remember: Planning is a strategy and purchasing is a task. The individual in the planning role may not be familiar with the principles of supply and demand or know how to interpret MRP-system information. With the right policies and planning fundamentals in place, it’s time to focus on forecasting. Good forecasting is essential for MRP, enabling a planner to accurately anticipate what the company will need to successfully manufacture and deliver products. The only way to do that is via a forecasting mechanism and model. A lack of proper forecasting results in no planning. MRP becomes reactive instead of proactive—not an MRP strategy, but simply purchasing. Regardless of the industry or products manufactured, all production planning requires a BOM, which drives operations, purchasing, manufacturing and logistics. Data from a manufacturing BOM inform ERP, MRP and the manufacturing execution system. BOM inaccuracies, such as ordering the wrong parts or the wrong quantities, can result in significant problems, especially for companies operating with a lean strategy. A complete and accurate BOM improves decisions related to inventory levels, operational efficiency and shipping. Main suppliers are crucial to effective MRP. Without their cooperation, there will be no materials to make products. It’s critical to involve key suppliers in MRP beyond simply sending them purchase orders. A close relationship with suppliers provides a better view of the supply chain and creates supplier agreements that work well for both parties, ensuring a ready supply of raw materials for production. Potential MRP pitfalls highlight the need to establish good metrics and business analytics. There’s an old saying, “What gets measured, gets done,” and incorporating appropriate metrics into an MRP system provides the means for identifying weak spots in manufacturing processes as the first step toward addressing potential problems and bottlenecks. Metrics enable manufacturers to measure planning accuracy, improve MRP, and facilitate the continuous improvement critical to optimizing MRP and ERP systems, and streamlining operations.